The library is split into three sub-libraries. 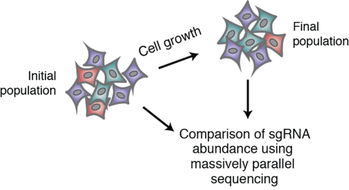 Two tubes each contain 90,000 gRNAs each or 5 sgRNAs per gene. 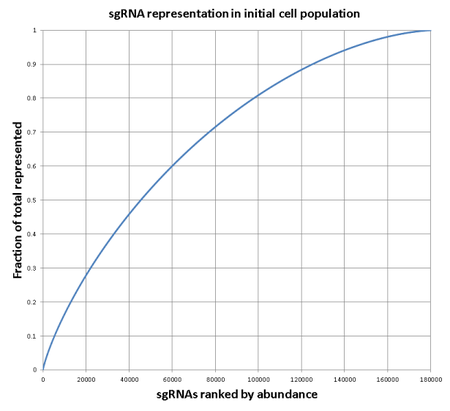 The third tube contains 5,000 gRNAs. 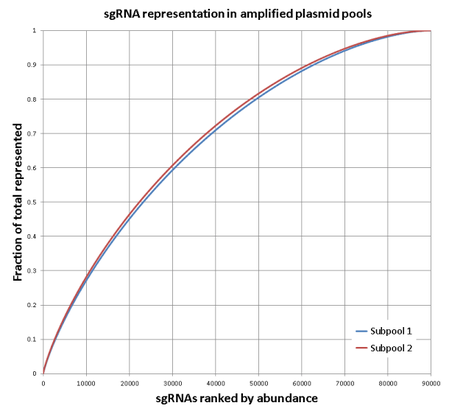 The depositing lab notes that the DNA preps should be performed separately and then mixed together during virus production at ratios consistent with the pool size.